After the successful implementation of ChildFund India’s nationwide campaign - Books, my Friends’ Phase 1 & 2, which involved distribution of age appropriate story books and solar lanterns to nearly 40,000 children, the international child development organization is all set to launch the campaign’s 3rd phase. ChildFund India in association with the CSR division of Bajaj Electricals Ltd today announced the launch of its flagship education program ‘Reading Improvement - Books, my Friends campaign’s Phase 3 Initiative titled “'Mutthi mai Aasma - Sky is the Limit” in Mumbai. As a start, ChildFund India has set-up over 100 solarized well equipped libraries in government schools across its implementation areas, by working with its 60 local community based partners. Further, to make reading material more accessible to children, ChildFund has also introduced solar powered Mobile Libraries, beginning with the first one in Bangalore, which is sponsored by Axis Bank and summarized by Bajaj Electricals. ChildFund aspires to ultimately transform all the government schools in its implementation areas into well-equipped Model schools and introduce more Mobile libraries to empower our children. This event will unveil the campaign’s final phase by inaugurating Solar powered model government schools consisting of water pump, street lights, toilets, well-equipped libraries, etc. in two of ChildFund India’s implementation areas - Udaipur in Rajasthan and Jhabua in MP, with support from the CSR division ofBajaj Electricals Ltd. Both the Schools were offgrid, had no access to electricity, no provision to clean and safe drinking water or water for sanitization. In order to support the schools and to promote non-conventional source of Energy, Solar rooftops (with battery backup of up to 8 hrs), Solar Street Light & LED Lights, were installed by Bajaj Electricals. Bajaj Electricals also donated Fans, Water Purifiers and computers to both the Schools. At the Government Middle school, Dhar,Bajaj Electricals installed Solar water pumps and gave the school an infrastructural makeover by painting the school, improving the toilets facilities and providing water storage tanks. Taking it forward, the idea behind this CSR Initiatives was to make demonstrative model “Light up School “with eco-friendly solar energy, especially to off grid schools, so that alternative Night school option and Solar Library can made available for the students. These models can be created across states and such initiatives can be supported as a holistic model. Improving drinking water facilities, Infrastructure and sanitation needs of School will make the place cleaner & happier. This event also comprises of a thought provoking hour long Panel Discussion based on the topic of literacy in India, exploring the subject of reading among 6 to 14 year old children and how we can help them develop affinity towards reading is organized among esteemed panelists from the fields of CSR, Education and Literature. The discussion will steer towards special focus on children in rural sections, importance of inculcating the habit of reading from an early age among children, the barriers to reading, the root causes behind low literacy levels in rural India as well as the various obstacles in the way of enhancing literacy levels with a hope to start a ‘literary movement for literacy’ while joining hands with individuals as well as organizations for a bigger impact. The problem of illiteracy in India is real. As per ASER 2014, in rural India, not even 50% of Std. 5th children of government schools can read a Std. 2nd level text, and 32.5 % of Std 2nd children can’t even recognize letters. “Books, my Friends” is a drive to help children discover the joy of reading by providing them child-friendly learning aids and teaching methodology that will enhance their learning and comprehension capability, and encourage them to stick to study programs and build reading habit. 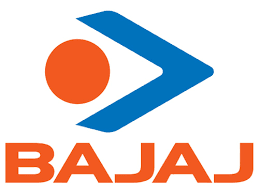 The CSR activities at Bajaj Electricals are guided by the 4 pillars – sustainability, diversity (gender inclusion), employee volunteering and community outreach. The communities where BEL operates should also benefit, hence all the programs are planned and executed accordingly. Some of the recent work done by BEL for CSR has been committed to being a Tobacco Free work environment wherein the employees also volunteer as Anti- Tobacco Crusaders. BEL is moving to become socially responsible and also environmentally sustainable company by undertaking initiatives such as changing packaging to biodegradable material, encouraging energy efficient products and offsetting carbon footprint through tree plantation initiatives. BEL launched Project Disha to implement vocational skills programs for youth. ChildFund India exists to help deprived, excluded and vulnerable children have the capacity to improve their lives and the opportunity to become young adults, parents and leaders who bring lasting and positive change in their communities. We promote communities whose individuals and institutions participate in valuing, protecting and advancing the worth and rights of children. A member of ChildFund International, ChildFund India has been representing the voice of underserved children in India since 1951. It is the only development organization of its kind that continuously supports children from birth to young adulthood, through unique intervention models designed around a complete life-cycle approach. The themes of child protection, gender equity and disaster management are integrated into ChildFund India’s programs. ChildFund’s signature programs are centered round education, health and livelihoods. Concurrently, it implements several innovative programs that are localized and piloted in target communities, with the aim of rolling them out to scale. ChildFund India works in 78 districts across 14 States and 1 Union Territory of India. Implementing programs directly and through NGO partners, it assists more than 1.73 million children, youth and other members in 6,092 communities, covering a population of 2.6 million. Mumbai, February 26, 2019: Confidence Petroleum India Limited (CPIL) (BSE Code: 526829), India's leading Private Sector LPG marketer & retailer and Time Technoplast Limited (TTL) (BSE Code: 532856), a leading technology based innovative polymer product company, have joined hands by entering into a ‘Cooperation Agreement’ with a viewto give major thrust to retail LPG cylinder market under the brand name ‘GoGas Elite’. Backyard Bears, a concept by Puja Malpani and Rajavi Agarwal was initiated over a cup of coffee. Being momtrepreneurs, they know how difficult it is to satisfactorily look after their children whilst dealing with this fast life. They identified a definite need for the working parents - a trustworthy and caring brand of daycare centres. 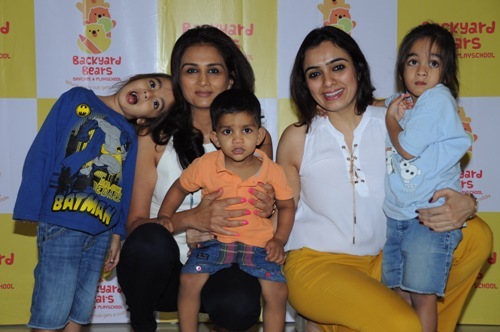 Backyard Bears is a daycare center and a playschool for kids providing them all the facilities required. Puja and Rajavi, have a mission, to create a place where there’s joy in the simple routines of an ordinary day, where being a child means being able to mess around and have fun. A place that’s warm and safe. The first centre is cleverly located in the bustling and commercial mid-town of Mumbai city. The ‘Munna Bhai’ of Bollywood is back inaction and offers are pouring in for Sanjay Dutt left, right and centre. In Magic Makers, an interactive show at #fame that connects the makers of a film with fans, director Indra Kumar announced the third installment of the Dhamaal series with Bollywood’s most versatile actor, Sanjay Dutt. Indra said, “Many actors were keen to play the lead for the sequel of Double Dhamaal, but I was sure that if there is a sequel, then it will be with actor Sanjay Dutt only. I waited for over three years for him, and next year, I plan to direct Sanjay in the sequel which will definitely be a ‘Total Dhamaal’ for viewers and his fans.